SANDOR MARAI WAS born in 1900 in Kašsa, which is now the Slovakian city of Kosice, but which was then part of Austria-Hungary. 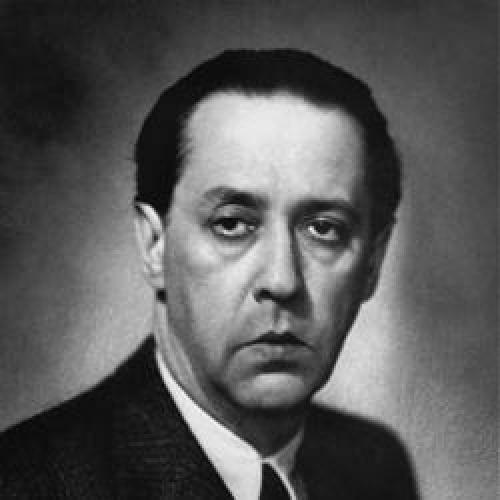 He traveled extensively as a young man before settling in Budapest, where he rose to prominence as one of the great novelists of the interwar period. But he was an outspoken critic of totalitarian government in all its forms, and so he could not reconcile himself to the communists who came to power after World War II. He left Hungary in 1948 and lived abroad for the rest of his life—first in Italy and then in the United States, where he shot himself in 1989. For the last fifteen years, Knopf has been publishing new translations of Márai’s novels, and English literature is the richer for it. Like Joseph Roth, his great contemporary, he felt a deep nostalgia for Austria-Hungary, and he is one of that empire’s great elegists. Embers, his masterpiece, is a hypnotic and incandescent novel in which two old men meet on the eve of World War II to discuss a hunt that took place forty-one years earlier. There is the sense that nothing of great importance has happened in the meantime. This is the feeling one gets in all of Márai’s best writing: The great moment has come and gone, and everything else is an epilogue. But Márai’s example should also be a cautionary one. The fact that Embers is a “rediscovered” classic does not mean that every novel by its author should be praised to the skies. Sometimes it’s worth considering why a book may have fallen into obscurity in the first place. This is the case with George Szirtes’s translation of Portraits of a Marriage. The novel has profound structural and stylistic problems, and its content will be unfamiliar to American readers. It is a novel about class, and in particular about class in Hungary after the dissolution of the Dual Monarchy. We have no analogous social institution in this country, and what we think we know about class comes to us second-hand, and mainly from the British. Embers is different: even readers who know nothing of twentieth-century Hungarian history can appreciate the deep longing that lies at the heart of that book. So the question is this: does Portraits of a Marriage offer something more, or something deeper, than a critique of the class system? The novel is divided into four parts, each of which is narrated by a different character. These parts follow one another in time, and there are several marriages in question: Ilona, who narrates the first section, is married to Peter, who narrates the second. Peter then leaves Ilona for his servant, Judit, who narrates the third section. Judit and Peter are then divorced and there is an epilogue narrated by Ede, a drummer who lives with Judit after she emigrates to Rome. The most obvious and severe problem is the style of the writing. Each narrator is speaking to another character—Ilona to a school friend, Peter to a colleague, Judit to Ede, Ede to a Hungarian immigrant in the New York bar where he works; but the particularity of the interlocutor does not inflect the writing in a way that justifies the artificiality of the conceit. None of the narrators seems to give a thought to the feelings of their listeners; they assume, rather than earn, a level of feverish absorption. The only hint of self-consciousness comes in the form of painful interjections such as this one, when Judit says, “I’m just talking … How far off the point talking is when you really want to say something!” The formula does not vary from narrator to narrator. Each of them speaks at great length, in a repetitive and rambling style, and then asks the listener if he or she is bored. My secret hope was that one of these listeners would find the courage to answer in the affirmative. None of them do. Still, there are moments of great wisdom and poignancy. Peter makes the astonishing declaration that he does not “feel a great need to be loved,” and his friend Lazar, describing his own role as a writer, remarks that “we are the guardians of what there is.” Judit makes wonderful observations about her rich employers and concludes that wealth produces a kind of insanity in those who possess it. Her mesmerizing description of Budapest during and after the war is the best thing in the novel. Anyone who is already familiar with Márai’s writing, and already knows that he is a deep a subtle thinker, will find something lacking in Portraits of a Marriage. The comprehension of this novel depends too much on cracking an alien social code. How many American readers are familiar with the attitudes and the behavior typical of the class to which each character belongs? What is the real significance of occupying a four-room apartment rather than a three-room apartment? Why does Peter wear his family crest only on his underwear? What does Lazar mean when he explains that one thing he values about Peter is that he is a perfect bourgeois gentleman? This is more than a superficial concern. Class is the subject of the novel, and without an instinctive understanding of what is typical about these characters, it is impossible to grasp what is atypical. I do not quite understand whether Peter is a hero or a villain or something else. He says that Judit “instigated … a kind of class war against [him].” He says that her family lives “at the back of beyond, trawling about in the depths of something very like history.” Is he saying what he means, and making thoughtful observations, or rehearsing the prejudices of his class? There is also the problem of his unflappable calm. When he washes up in New York at the very end, penniless and lonely, his manners remain those of the elegant and generous bourgeois man he has always been. Is this supposed to be evidence of a strength that exists independent of class? Does it suggest that class is real and has nothing to do with money? Or should it seem unpleasant because it represents a refusal to acknowledge a new reality? Whatever it might have to say about class struggle in Hungary, Portraits of a Marriage is flawed in its conception. The style continually undercuts the real interest of the novel, which is what it might reveal about self-perception and self-representation. There are great novels in which very little happens, to be sure; but if this is such a novel, or something we might call “a novel of ideas,” the ideas are not powerful enough to justify the manner of their articulation. It reads like an endless taunt. Readers who want to get a sense of Márai’s gifts should turn to Embers. There we find “blue-eyed weary ten-year-old aristocrats who [stare] into the distance as if their ancestors had already done all their seeing for them.” One character, discussing the dissolution of the Austro-Hungarian Monarchy, says, “There was a world for which it was worth living and dying. That world is dead. The new one means nothing to me. That’s all I can say.” The satisfying finality, and humility, of these sentences is not to be found in Portraits of a Marriage. Embers speaks clearly and eloquently across the decades, and it contains a sense of grief and loss that is just as intelligible today as it was in 1942. Aaron Thier is a freelance writer.